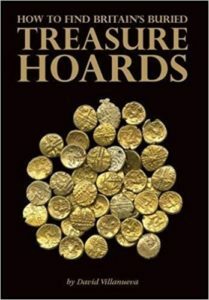 Every detectorist dreams of finding a hoard and this new book will increase your chances of doing so. The rich history of the British Isles has led to the burial of thousands of hoards for many different reasons – some as offerings, some as savings or in an emergency, intended to be recovered later. Although of course nobody knows exactly where hoards are buried, understanding why hoards came to be in the ground will help you to search in the right places. Every detectorist dreams of finding a hoard and this new book will increase your chances of doing so. The rich history of the British Isles has led to the burial of thousands of hoards for many different reasons – some as offerings, some as savings or in an emergency, intended to be recovered later. Although of course nobody knows exactly where hoards are buried, understanding why hoards came to be in the ground will help you to search in the right places. Beautifully illustrated in colour. A must have book for all detectorists!